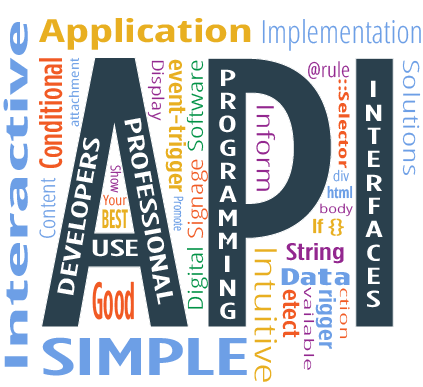 API allows for a secure software to software connection over the Internet. For example, APIs allow for programs like Google Maps to be used on UCView’s portal. APIs allow for content to be activated remotely using API call, and can also activate video on demands and alerts. Network operators can use any wireless device to interact with a display. APIs also enable text, video, and sound in alerts.